CKD Galbraith has brought a productive mixed farm within commuting distance to Glasgow onto the open market. 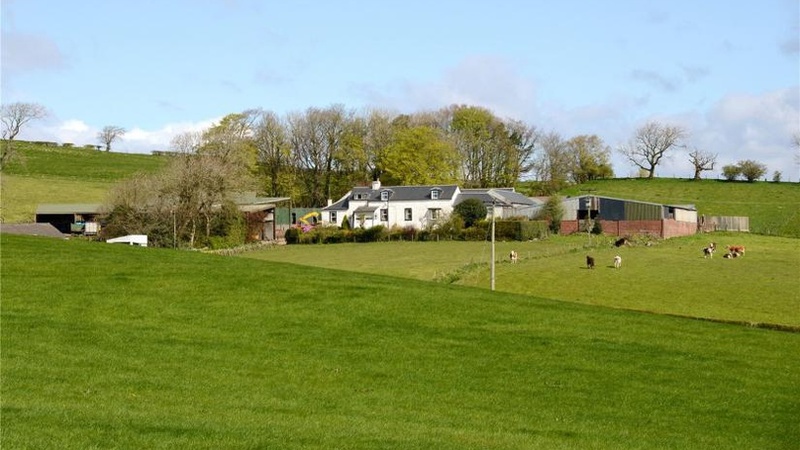 Priestside Farm is situated in a delightful rural position, about 2.5 miles from the leafy village of Kilmacolm, some 20 miles to the west of Glasgow with the M8 offering swift commuting links to the commercial centres of Central Scotland. The farm extends to 99.80 Ha (246.61 Acres) and provides a well-equipped farming unit located in an accessible rural area of Renfrewshire. The sale includes an extensive range of traditional and modern buildings which present any purchaser with the opportunity for a variety of uses while Priestside Farmhouse provides comfortable family accommodation over two levels. Priestside Farmhouse is an attractive traditional four bedroom home set in a courtyard with the potential to extend into the adjoining outbuildings, subject to the necessary planning consents. The majority of the farmland included in the sale has been classified by the James Hutton Institute as mainly Grade 4(1) and has been used for a mix of fodder, pasture, grazing and arable production. There is a range of traditional outbuildings including; a large grain store, workshop, several calf sheds, cattle courts and a hay shed, as well as a number of additional storage buildings. This is a highly desirable farm sale, located in a peaceful yet accessible location near the popular village of Kilmacolm. The village caters for all ages and has a broad range of social activities, often centred on the local golf, tennis, squash and bowling clubs as well as highly regarded schooling. Having once been operated as a dairy farm, Priestside Farm is now successfully managed for the purposes of the fattening of store cattle along with forage and cereal production. New owners would have the opportunity to continue with the current farming operations on the holding and develop the business further or convert the existing buildings for use as alternative business or amenity purpose.